One of the main trends to come out of the Business Intelligence world in the past five years is the rise of self-service analytics. Reporting and visualization tools have matured both in terms of capability and ease-of-use, putting control back into the hands of the analyst. Instead of submitting report requirements to an IT group and waiting weeks for the first iteration of a report or dashboard, end-users can now immediately produce amazing visualizations, iterate endlessly, and unlock insights to their data that never would have been possible before. Tableau has been a pioneer in this space since the beginning. A leader in the Gartner Magic Quadrant, Tableau brings powerful and intuitive capabilities to the masses by providing countless data connections, gorgeous visualizations, and a usability factor that’s through the roof. Tableau provides a complete platform that enables data discovery, reporting, dashboarding, and communication throughout the entire organization. However, there is one area that Tableau and almost all other visualization tools have struggled to seamlessly adopt: OLAP data. 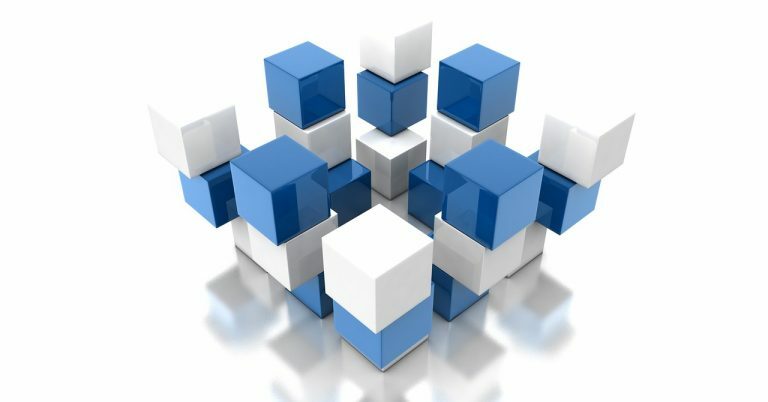 Data stored in OLAP cubes such as Oracle Essbase is often difficult to work with in a reporting tool built primarily to handle relational data. OLAP data sources are almost always proprietary and built for speedy access from a native interface. Enabling OLAP data in a reporting tool such as Tableau is like putting a square peg in a round hole. ExoInsight eliminates this challenge by presenting your Essbase data and metadata in a relational format, instantly and on-the-fly, unlocking it for downstream reporting tools such as Tableau. The challenges with Tableau’s built-in Oracle Essbase connector are well documented, not because the connector doesn’t do the job advertised, but because of the inherent discrepancies between OLAP and relational data. 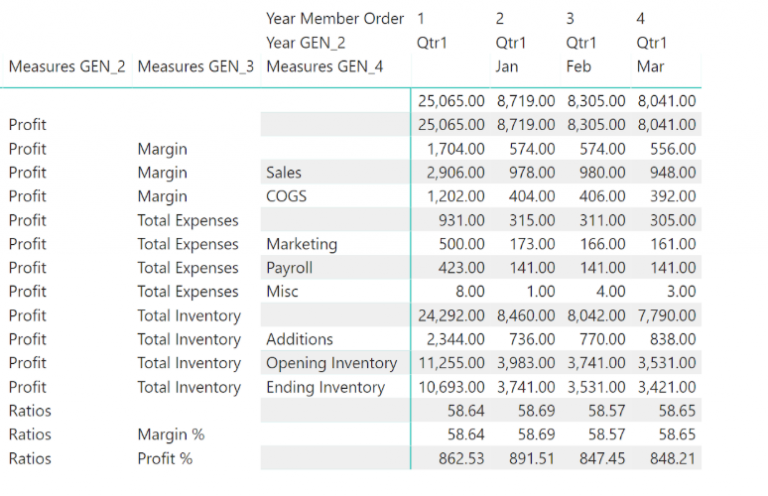 Tableau’s internal engine prefers data in row-and-column format, and this concept simply doesn’t apply to OLAP sources such as Oracle Essbase. Enter ExoInsight. Instead of struggling to get your Oracle Essbase data in a format that Tableau prefers, ExoInsight does all this heavy lifting for you, formatting your Essbase data in such a way that makes it easy to work with. 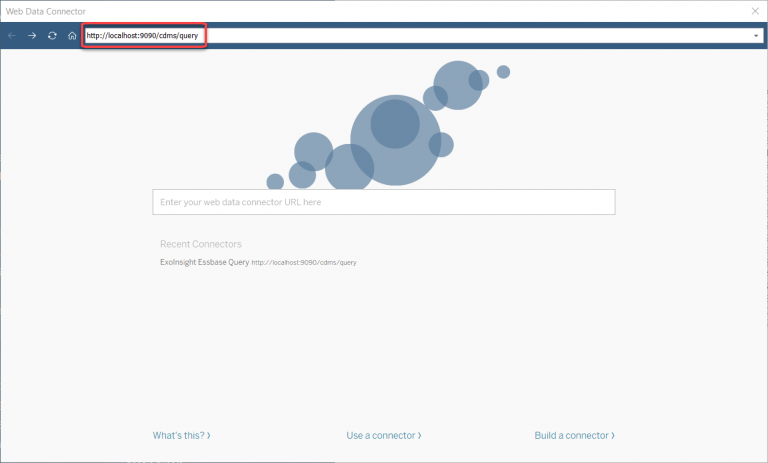 There are multiple ways to pull your data from Essbase using ExoInsight, and each way allows you to utilize both the Live and Extract connection options that Tableau provides. Depending on your use-case, you may have the need to refresh the data from Essbase every time someone refreshes the report. Other times you may be looking at data that doesn’t change often and it might make more sense to use the Extract option. Or you may have the need for a report to utilize both…the choice, and control, is yours. Your Essbase data is presented in a familiar relational format, perfect for absolutely anything you want to do in Tableau. You can pull data in from any level of the cube and pull any calculated members as well. This is important because Essbase can often contain complex calculations that you would not want to replicate in Tableau so you can make sure a single version of the truth is maintained. ExoInsight allows you to write reports against Essbase data that will match the data other users pull through SmartView or other Hyperion-specific reporting tools. Metadata is just as easy to pull into Tableau. All properties of your Essbase dimensions are available, including the Expense flag, Shared Member flag, level number, ordering, etc. Additionally, metadata is presented in both parent/child as well as generational format. 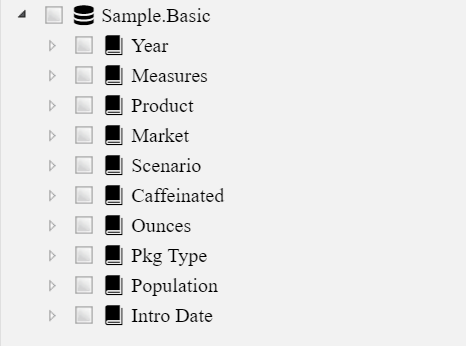 This makes utilizing your Essbase dimensions a breeze in Tableau. One of the most important aspects of working with Essbase is data security. Data filters in Essbase can be complex and numerous. Replicating this security in a reporting tool is risky, cumbersome, and an incredible maintenance nightmare. ExoInsight allows you to utilize native Essbase security, the same security maintained in Hyperion Shared Services. If your company uses Windows usernames for your Essbase users, simply pass the value returned by the Tableau USERNAME() function to ExoInsight to filter the data for that username. Alternatively, if native Essbase security is used, you could simply have a username and password parameter within the Tableau report to filter the data accordingly. Once you’ve connected Tableau to ExoInsight, your Essbase data is available and working with the data is as easy as working with any other relational data source. Pull in your Essbase data (again, at any level of any dimension), link it up with a dimension table pulled from ExoInsight, utilize the Essbase hierarchies, blend data with other sources, use your Essbase data as a secondary data source…the options are literally unlimited. Anything you can do with a relational data set you can do with your Essbase data via ExoInsight. Create calculated fields, add additional data filters, publish to Tableau Online, even Essbase substitution variables are available with ExoInsight! If you’re one of the millions of users who love Tableau for the flexibility, beautiful visualizations, and ease of use, but are frustrated with the way Tableau handles OLAP sources such as Essbase, ExoInsight is the answer you’ve been looking for. Stop struggling and start unlocking your Essbase data for the rest of the organization using ExoInsight with Tableau! Tableau and Essbase Users Rejoice – ExoInsight 7.0 is now available!